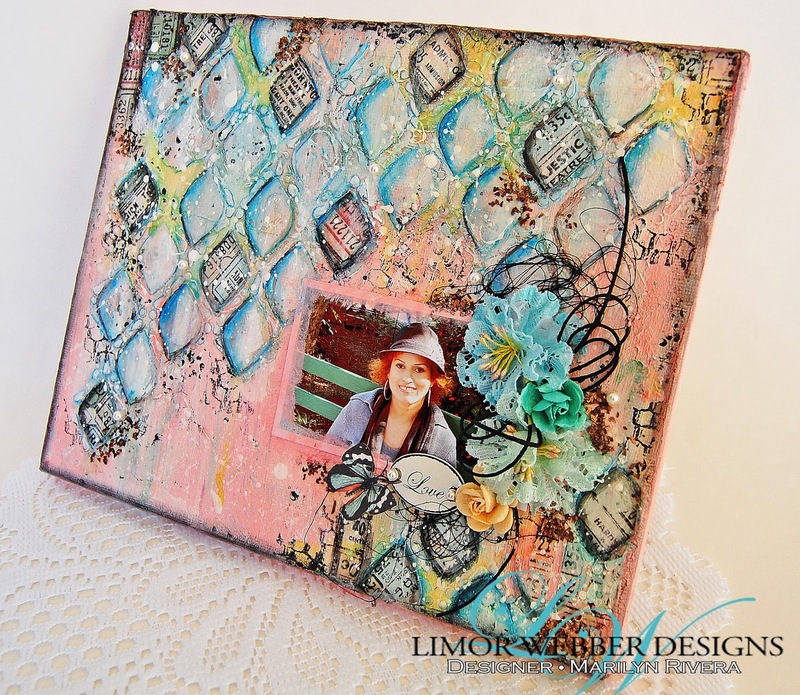 showing you how to create lots of textures using different mediums from Limor's shop. from The Crafter's Workshop Mini Pointy Circles and Art Basics molding paste by Prima Marketing. 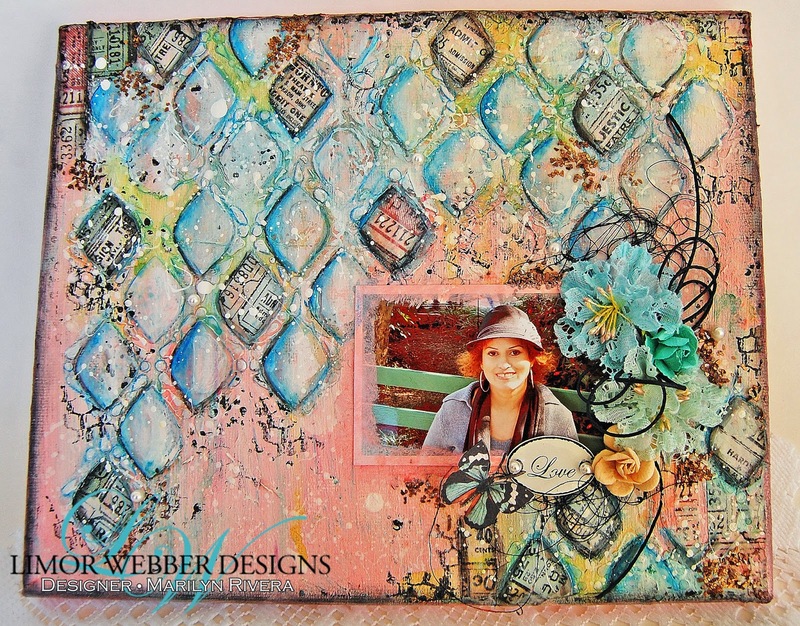 I used Tres Chic color shot and spray mist from Lindy's Stamp Gang, Art Grip Aquarelles water color pencils from Faber Castell Design Memory Craft and Stamper's Big Brush Artist Pen by FaberCastle Design Memory Craft. 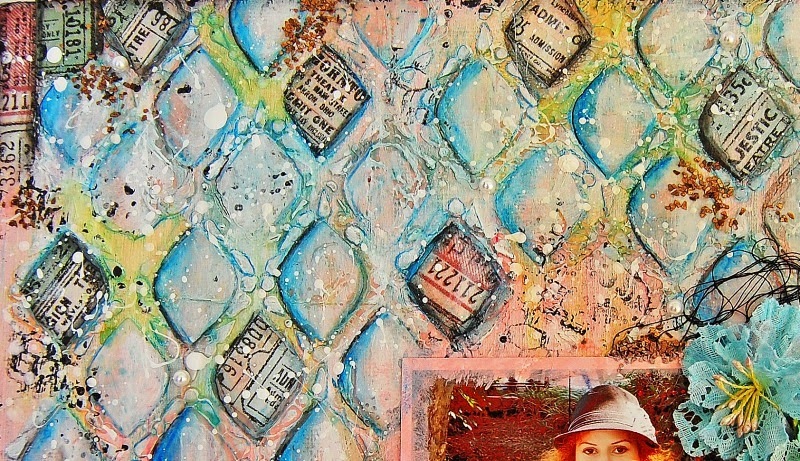 I added washi tape from Tim Holtz and more textures with the art basics- glass beads and Matte gel-art basics by Prima. Oh wow, this turned out truly gorgeous! Your background work is, as always, just breathtaking! Just beautiful especially the pretty lady in the photo! Me gusta mucho. Te ha quedado hermoso!